When we CASE (Copy and Share Everything or Copy and Selectively Edit), we find inspiration in a project – theme, color combinations, layout, products used – and create our own project by making changes to make it our own. When CASEing, it’s important to give credit to the original designer – it doesn’t take away from your project at all. As you can tell, I was inspired the floral theme of Steffi’s card – I love the layout and the long, slender shape of her card. 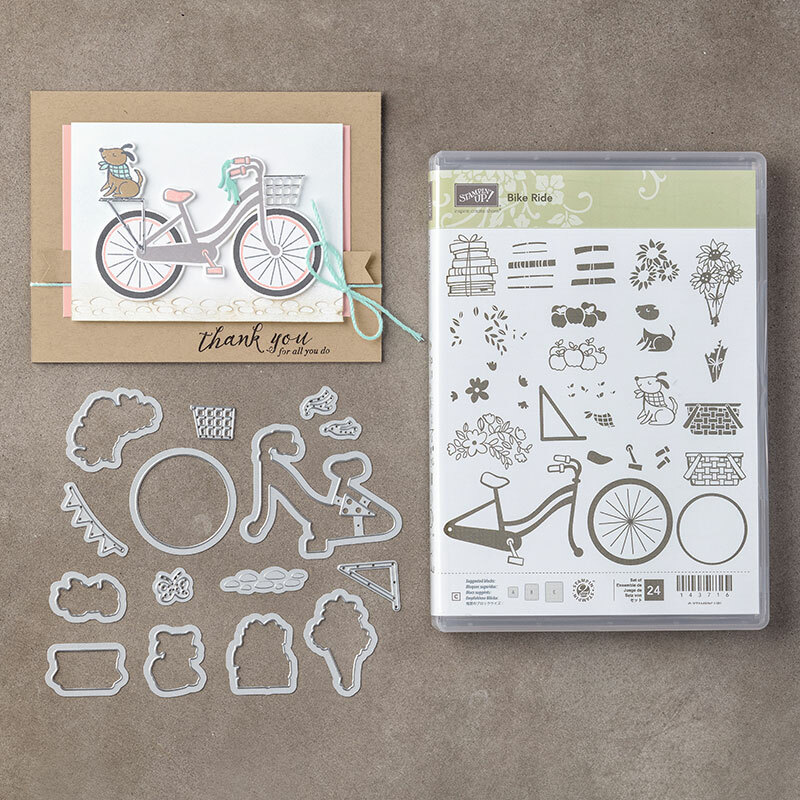 Bike Ride Bundle, Stampin’ Up! Beautiful CASE Brian, love that little bouquet of flowers with that fabulous DSP in the background!!! Awesome way to pop the sentiment!! Thanks so much, Maria! I love the crisp look of Steffi’s card and had fun CASEing it. Thanks for your sweet comments! Cute interpretation of the sketch. Love the simple bouquet of flowers! Simple but elegant! I, too, like the long skinny card, which I very seldom use. It’s just a little different but a nice change. Enjoy your day! I like the size of the card, need to try that. I’m glad it’s bike riding weather somewhere, we’re getting up to a foot of snow up here in Maine on Wednesday! Yipes! Perhaps stay off the bike for now, Dawn. 🙂 Thanks for your comments! I like the way you have the black mating and sentiment..pops off the blue! Cool skinny card! Lovely card. Beautiful Inspiration. I’ll have to try my hand at GDP challenge this week! Love this card Brian! It IS nice to make a size different from the A2 occasionally! You did a fabulous job (as always). Brian you have made a few long narrow cards and I like them a lot, today I write it down on my things todo because this is too fun to keep passing up. Also, liked how you snipped the end of the mat for the sentiment, very clever. As always, you made a wonderful card. I love the soft colors. The mention of the bike set got me thinking about the last time I was actually on a bike – probably 1966 when girls in Catholic colleges really did not wsear slacks — so I biked in an A-libe skirt and loafers! Easy after scaling down the Niagara Gorge in a similar outfit. Bravo to anyone who still rides. Those days are long gone. Thanks for the memory jog. Regarding the GDP128 challenge: The words “so sweet” comes to mind when I look at your card, Brian. I love the different size of the card. I don’t think about that, but with the envelope punch board, it really would be easy! Thank you, Brian, again! I’m so glad you like it, Suzie! I love Steffi’s inspiration card and just “stole” all the great things about hers. 🙂 Thanks so much, Suzie!